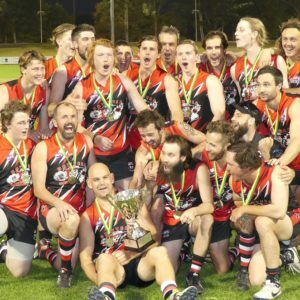 The month of July has been somewhat disjointed for Senior club footy with a long weekend and representative fixture, but that’s all behind us now and clubs have a clear run to the end of the season. With seven rounds to go clubs will be singularly focused on putting together a run of wins across the second half of the season to secure their place in the Finals Series. With a new, three team format this season there’s no longer a guaranteed place in the Finals for all teams so clubs know they can’t waste any opportunities. Grafton Tigers have endured another tough season and are yet to register their first win. The Tigers know they need to address this situation straight away, but face the toughest test when they travel to the Richardson Park fortress to take on the unbeaten Sawtell Toormina Saints. The Tigers are likely to be boosted by the return of key big man Callum O’Loughlan who will add much needed experience. However Rhys McDonald will need to pass a fitness test after sustaining a lower leg injury in last week’s representative outing, whilst captain/coach Chris Curthoys is still a couple of weeks away from a knee injury. The Saints have their own injury concern, with captain Malcolm Trotter sporting a suspected broken hand which he sustained whilst on representative duty. However they will be boosted by the return of Mitch Napier and Aaron Boatfield from injury and travel respectively, whilst the strong form of Luke Matthews is an absolute boon for the club. Matthews only returned to footy three weeks ago and played in the representative match to build his fitness but was at his dominant best and claimed best on ground. 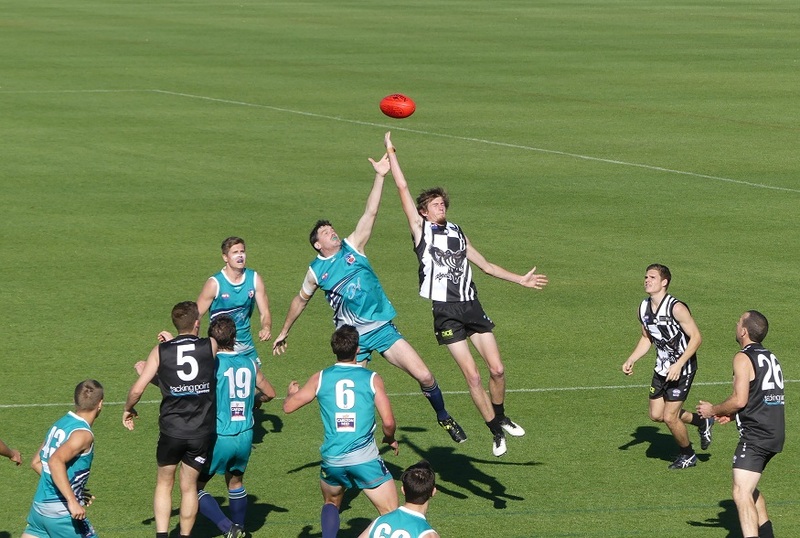 The other Senior match sees Port Macquarie Magpies host Coffs Harbour Breakers in the battle of second against third where the two teams are separated by percentage only. The Magpies have responded well to the approach of new coach Tom Marmo and are getting strong numbers to training. This is the first in a run of three consecutive home matches for Port and is the perfect chance to put together a string of positive results that can set up their season. The team has relied heavily in recent seasons on stalwarts Jesse Schmidt, Craig Dicker, and Rod Sonogan but is now seeing the emergence of the next wave of home grown talent that can influence matches in Isaac King, Sam Johnson, and Fraser Carroll. Breakers season hasn’t yet achieved any real momentum and this will be the number one thing that coach Kevin Wilson will be aiming to tackle. Brett Vella has been a long term absentee with a hamstring tear, Royce Close has spent time in both Sydney and Alice Springs, and Alex Norman dislocated his shoulder last time out so the team has lacked consistency and cohesion. Nick Stanlan-Velt has been a standout performer for the team and is one of the leading goal kickers for the team. Mat Gleeson provides stability at the back, and Jacob Sincock is the leading ruckman in the competition and if the club can get more output from its midfield it can have a big say on the destination of the Premiership Cup. Wayne Richards Park will also host the Women’s match between Port and Breakers with players from both sides on a high after last week’s dominant representative performance. Britt Hargreaves was influential at both ends of the ground and Beth Rennes and Clare O’Dwyer were valuable contributors through the midfield and up front. Add to this line-up the ever impressive Cambridge McCormick and the experienced Amy Foo and Port are capable of beating any team. Breakers will be hoping that Rani Grant overcomes a bout of the flu, and will be looking to key defender and skipper Bella Crawley, midfielders Remi Banuelos and Casey Miosge, and new recruit Katika Adams to provide the direction for an outfit that’s improving on a weekly basis. 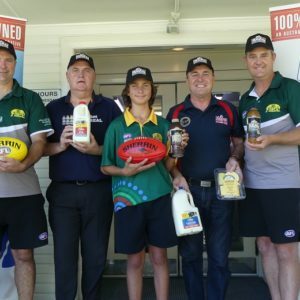 lFooty Show goes out and about!